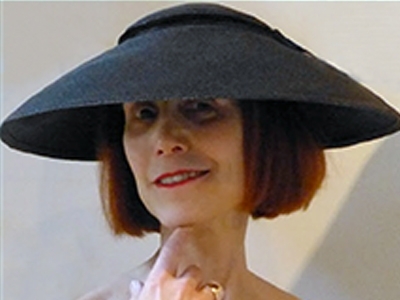 The CEO of ArtsWestchester, Janet Langsam, suggested that I might want to shoot a video in the amazing exhibition of hats, called HATtitude. I was intrigued by the idea, and I asked Gene Panczenko to collaborate with me on the project. We arrived on the closing day of the exhibition. In four hours, we managed to explore the show, learn which hats could be touched and which could not be touched, set up our gear, and shoot our footage — while other people were taking down their displays! It was a challenge, indeed. The resulting footage was pretty strange, but we managed to edit it into something surreal and enjoyable. NOTE: The title of our piece, Hat Joy! is an homage to a famous performance video by Carolee Schneeman called Meat Joy!